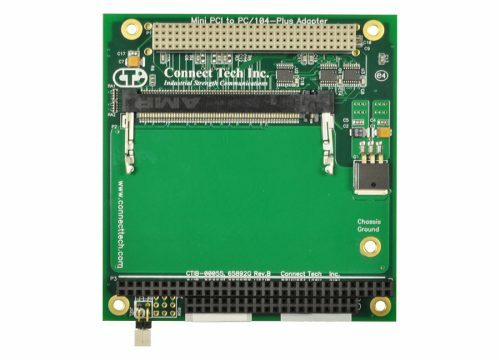 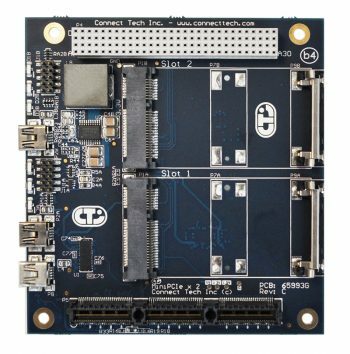 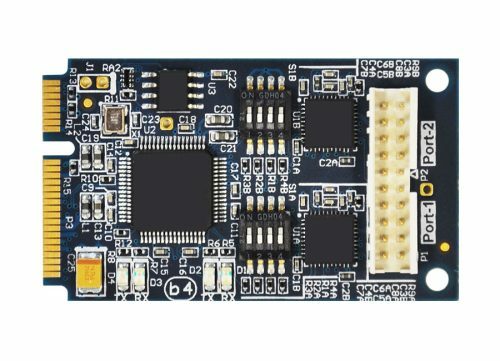 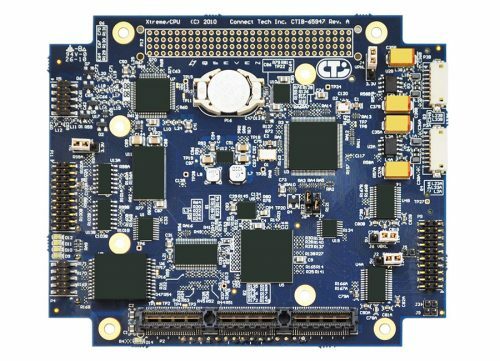 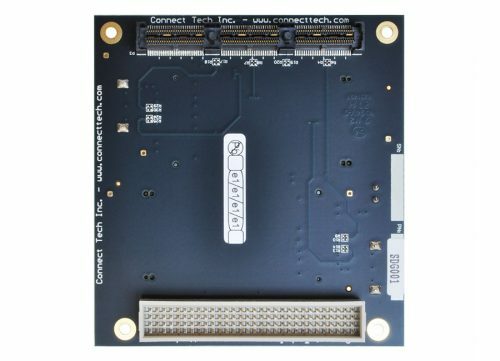 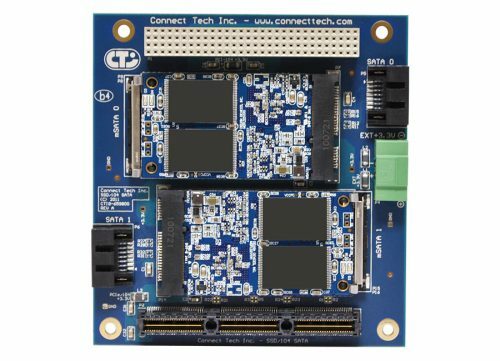 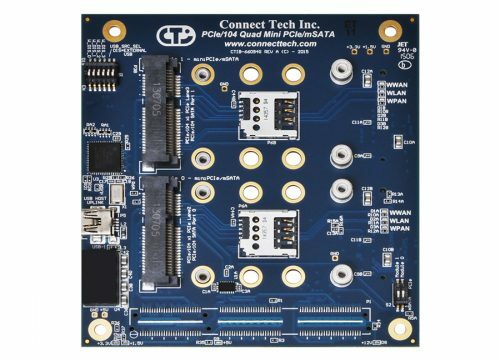 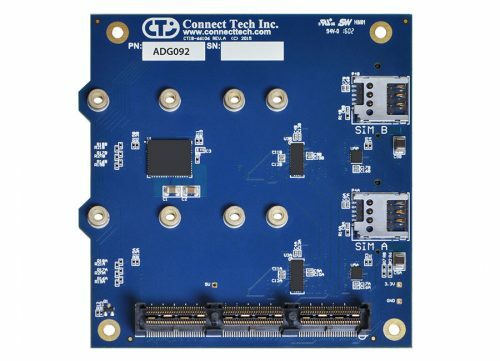 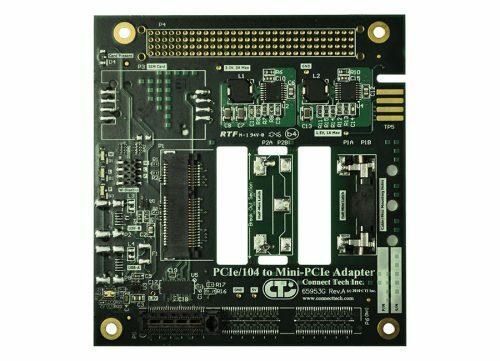 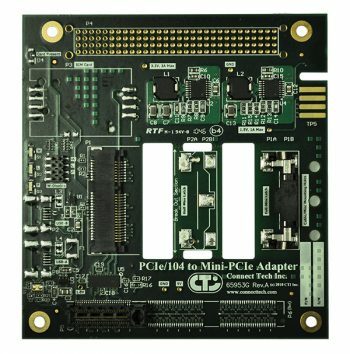 PCI/104-Express to Single/Dual Mini-PCIe (PCI Express Mini Card) Adapter - Connect Tech Inc.
Connect Tech’s PCIe/104 to Single/Dual Mini-PCIe Card Adapters easily enable integration of a Mini-PCIe (PCI Express Mini) card into a PCIe/104 or PC/104-Express system. 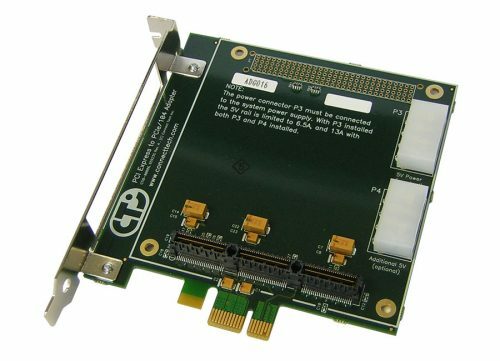 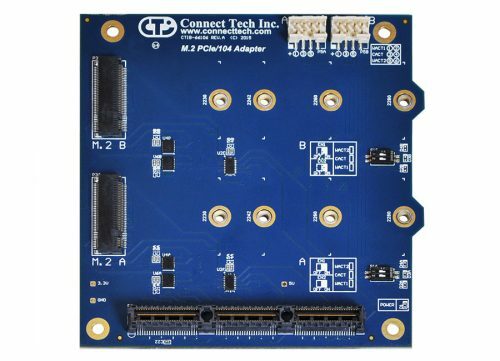 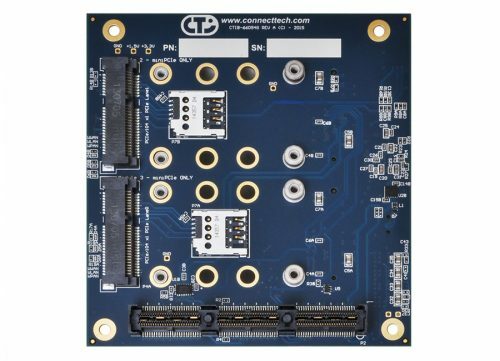 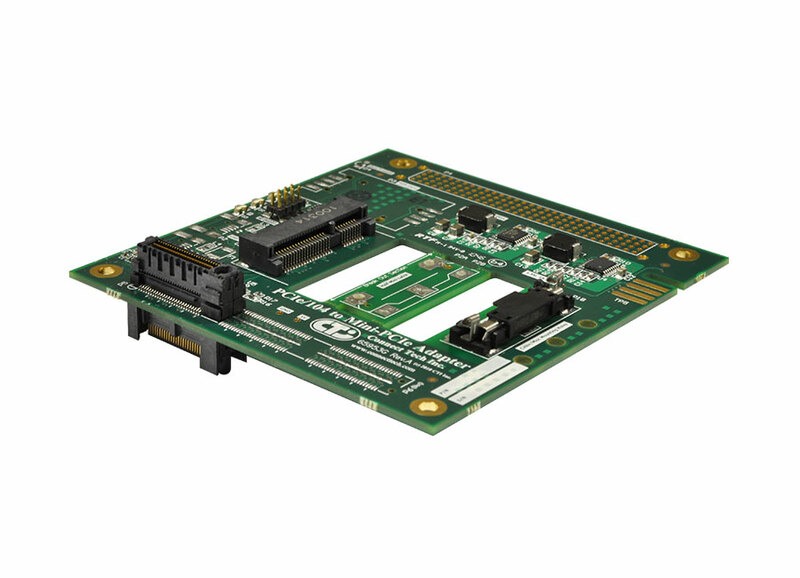 PCIe/104 to Single/Dual Mini-PCIe Card Adapters are fully compatible with any Mini-PCIe peripheral, expanding the capabilities of an existing PCIe/104 or PC/104-Express system. 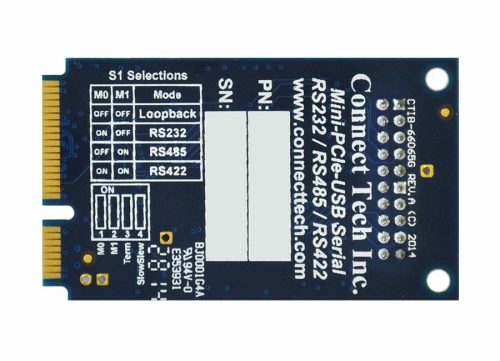 Add features such as WiFi, GPS, Bluetooth, storage and broadband communications. 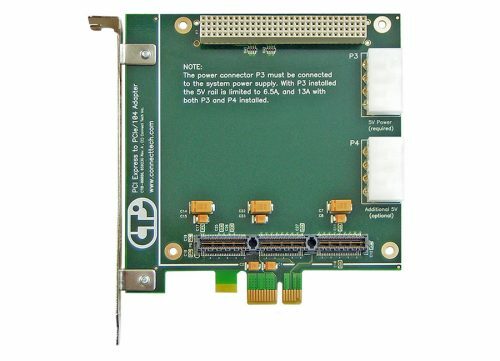 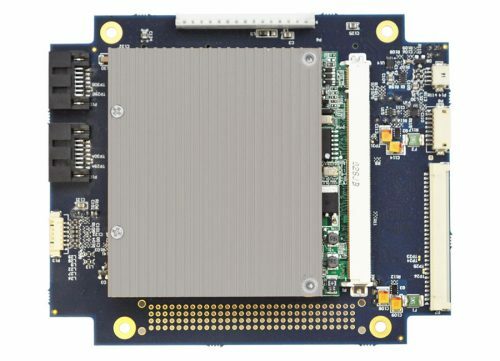 ADG036 PCIe/104 to Single Mini-PCIe Adapter; Bus Type: PCIe/104; Uses 3 bank connector instead of single bank connector; With SIM socket, USB, and PCI-104 connectors installed.